Faced with regional jumbo roll overcapacity, the loss of energy cost leverage, traditional neighbouring markets hit by security issues, Egypt’s Interstate Paper Industries’ strategy is to find new potential growth … and offer high value added products. 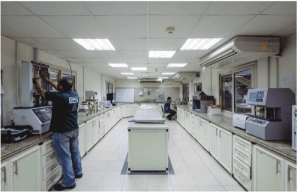 Established in 2009 in Sadat City, Egypt, Interstate Paper Industries (IPI) is a member of INDEVCO Paper Making (IPM), a division of the INDEVCO Group. It manufactures a wide range of jumbo tissue rolls for the facial tissue, table napkins, toilet tissue markets as well as selling to household towel converters. IPI specialises in producing various grades of virgin, recycled and partially recycled jumbo tissue rolls. 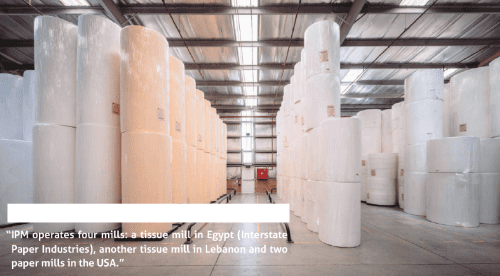 IPM operates four mills: a tissue mill in Egypt (Interstate Paper Industries), another tissue mill in Lebanon and two paper mills in the USA. 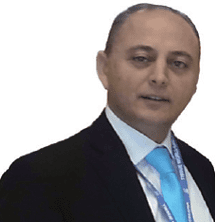 TWM talks to IPM vice president Imad Issa El Khoury. How much tissue do you produce per year? What recent machinery investments have you made and why? Are you looking to grow substantially? How much of your production do you export? Are you seeing growth in your local tissue market? “Egypt produces around 225,000TPY of jumbo tissue rolls; only around 100,000 tonnes are being converted locally and around 125,000 tonnes are being exported. Are you expecting that growth to continue? How is your country’s economy affecting the tissue market? Is there overcapacity in your local tissue market? Are you seeing much demand/ increase in demand for environmentally-friendly tissue products? What are the main challenges for you in the next five years? 1. Tissue jumbo rolls’ overcapacity in our region (mainly Turkey and North Africa). 2. The loss of energy cost leverage (i.e. the gas price in Egypt is double the international price). 3. GBP, Euro devaluation vs. US$ . What are the main opportunities for you in the next five years? Share the post "IPI aims to strengthen its reach overseas"